I got these from my brother-in-law, who just remembered he doesn’t like pumpkin things. 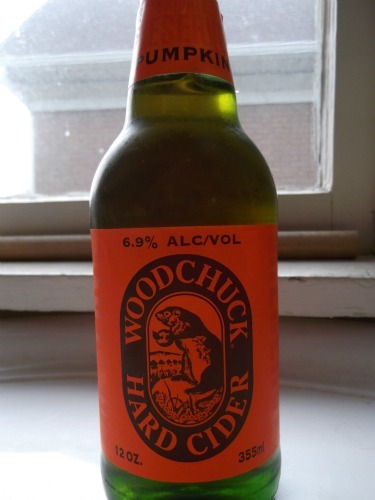 This was pretty good, but I will say I prefer regular cider. On a side note, look what I finished! Normally as I approach the end of a knitting project, I begin to get bored with it. I try the pieces on, and there’s always one or two more painful inches to go when really, I want to be done with it and move on. 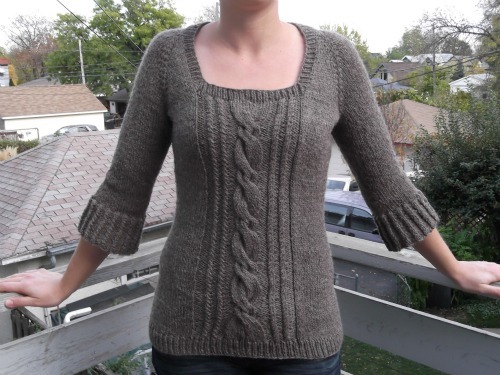 Joyfully, when I tried this sweater on right before the hem, it was the perfect length and the perfect fit! ~Increased number of collar ribbing rows to 5 plus bindoff. ~k1p1 ribbing at bottom hem instead of folded hem. ~The biggest change I made was doubling the number of waist shaping decreases and increases. I have a much smaller, higher waist compared to my hips and bust, so I did 8 sets of each instead of 4.